Zun L. West J Emerg Med. 2016 Mar; 17(2): 173–176. "Psychiatric patients frequently present to the emergency department (ED) for care when they are in crisis. Recent studies demonstrate about 10% of all ED patients present with psychiatric illness. However, this is not an adequate estimate of the number of patients because many of these patients do not have a psychiatric diagnosis. Two recent studies have demonstrated that 45% of adults and 40% of pediatric patients who present to the ED with non-psychiatric complaints have undiagnosed mental illness.These studies did not determine whether these psychiatric illnesses affected the patients’ presentation. 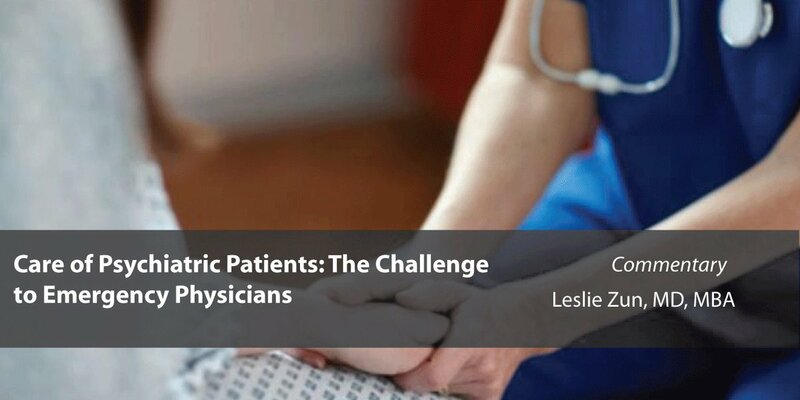 The purpose of this article is to discuss disparity and challenges in caring for these patients."